BBC NEWS | UK | Magazine | The end of one law for all? Ethnic and religious courts are gaining ground in the UK. Will this lead to different justice for different people? Aydarus Yusuf has lived in the UK for the past 15 years, but he feels more bound by the traditional law of his country of birth - Somalia - than he does by the law of England and Wales. "Us Somalis, wherever we are in the world, we have our own law. It's not Islamic, it's not religious - it's just a cultural thing." The 29-year-old youth worker wants to ensure that other members of his community remain subject to the law of their ancestors too - he helps convene an unofficial Somali court, or "gar", in south-east London. Aydarus is not alone in this desire. A number of parallel legal universes have been quietly evolving among minority communities. As well as Somali customary law, Islamic and Jewish laws are being applied and enforced in parts of the UK. Islamic and Jewish law remains confined to civil matters. But the BBC's Law in Action programme has learned that the Somali court hears criminal cases too. One of the most serious cases it has dealt with was the "trial" of a group of young men accused of stabbing a fellow Somali. "When the suspects were released on bail by the police, we got the witnesses and families together for a hearing," says Aydarus. "The accused men admitted their guilt and apologised. Their fathers and uncles agreed compensation." So how did this court come about? Some academic lawyers see these alternative legal systems as an inevitable - and welcome - consequence of multiculturalism. Dr Prakash Shah, of London's Queen Mary University, advocates this "legal pluralism". "Tribunals like the Somali court could be more effective than the formal legal system in maintaining social harmony." 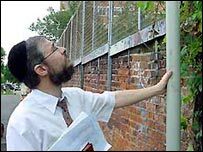 While religious leaders in the UK's Jewish and Muslim communities have not sought to enforce their own versions of criminal law, they have steadily built up their capacity to deal with civil matters within their own religious codes. What's more, they are doing it with the help of English law. The court cannot force anyone to come within its jurisdiction. But once someone agrees to settle a dispute in the Beth Din, he or she is bound in English law to abide by the court's decision. Crucially, the legislation does not insist that settlements must be based on English law; all that matters is the outcome is reasonable and both parties agree to the process. And it's in this space that religious courts, applying the laws of another culture, are growing in the UK. "Orthodox Jews go to the Beth Din to settle their disputes," says Jonathan Greenwood, a solicitor who represents many Jewish businessmen at the court. Amongst the UK's Muslims there are sharply contrasting views about Sharia or Islamic law in the UK. Sharia is the historic legal foundations of the Islamic world - like English law, it has developed over centuries but is based on simple principles. In an ICM survey of 500 British Muslims carried out in February 2006, 40% of respondents said they would support the introduction of Sharia in predominantly Muslim areas of Britain. The UK's most prominent Muslim organisation, the Muslim Council of Britain, opposes the idea, saying it will not support a dual legal system. But some of Britain's Islamic scholars have called for a different approach - Sharia legal code in areas such as family and inheritance, applied through the secular courts. Mohammed Shahid Raza, a leading Islamic scholar, claims this is a workable model with a British precedent: "When Britain was ruling India, there was a separate legal code for Muslims, organised and regulated by British experts of law." There is already a network of Sharia councils in the UK. They are not recognised as courts but are seen as essential by those Muslims seeking advice and religious sanction in matters such as divorce. Ayesha Begum sought an Islamic divorce from the Muslim Law Shariah Council in west London. "I had obtained a divorce in the secular courts - but my husband refused to divorce me Islamically. In English law I was seen as a single woman but by Islamic law I was still married to him. "I'm a practising Muslim and I wanted to do the right things in the eyes of God. It was very important I obtained an Islamic divorce." But Cassandra Balchin, a convert to Islam and spokeswoman for the group Women Living Under Muslim Laws, is concerned about the growth of these minority legal systems. "Very often traditional forms of mediation can disadvantage vulnerable groups, such as women, within a community. "I'm concerned about how much choice the weaker party would have in submitting to the governance of these alternative forums." Despite Ms Balchin's fears, Sharia councils have already begun to follow the Jewish model of turning themselves into recognised courts of arbitration. 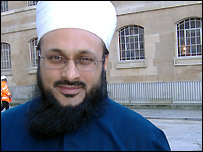 Faisal Aqtab Siddiqi, a commercial law barrister and head of the Hijaz College Islamic University in Warwickshire, says he has already adjudicated in a number of contractual disputes. "Because we follow the same process as any case of arbitration, our decisions are binding in English law. Unless our decisions are unreasonable, they are recognised by the High Court." 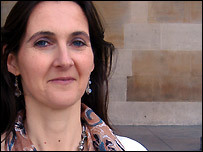 Law in Action's investigation into religious courts in Britain is being repeated at 2100GMT on Sunday 10 Feb 2008 on Radio 4. It was first broadcast in Nov 2006. Law in Action's regular broadcast is at 1600 GMT on Tuesdays. Or subscribe to the Law in Action podcast for a regular insight into topical legal issues. Do you know of any other alternative courts in the UK? If so, please let us know, using the form below.